Katie is not accepting new clients at this time. Katie is passionate about creating a safe space for healing and lasting change for youth, individuals, couples, and families. She has extensive training in Emotionally Focused Therapy (EFT), a highly effective and empirically validated couples therapy model. She has experience treating a variety of issues including but not limited to: depression, anxiety, trauma, abuse, sexual assault, relationship difficulties, spirituality, and identity issues. She enjoys working with people of all backgrounds, including various religious, racial, ethnic, gender, and sexual identities. All are welcome. Her approach is tailored to individuals, couples, or families based on their unique needs. She specializes in providing evidence-based therapy that is effective and empowering, including Emotionally Focused Therapy (EFT), Cognitive Behavioral Therapy (CBT), attachment, affective neuroscience, and contemporary relational theories. She also draws from the ongoing process of transformation in gratitude to her husband, daughter, colleagues, clients, family and friends from a myriad of cultural contexts. 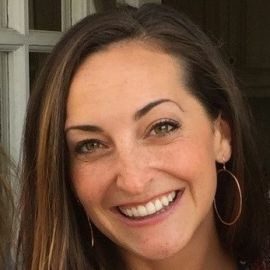 Katie holds a Master of Science degree in Marital and Family Therapy from the Graduate School of Psychology at Fuller Theological Seminary and is a Washington State Licensed Marriage and Family Therapist Associate (License #MG60755981). She is a clinical member of the American Association of Marriage and Family Therapists and the International Centre for Excellence in Emotionally Focused Therapy.